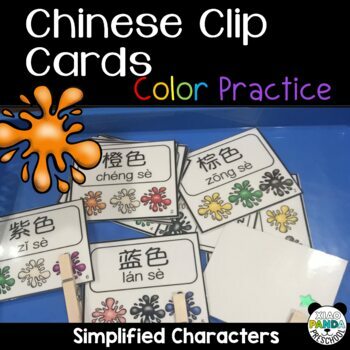 Create an independent center activity in your Chinese immersion classroom or work on students one on one with this fun and easy way to practice vocabulary. Each card has Simplified Chinese and Pinyin support and students match the vocabulary to a picture representation. 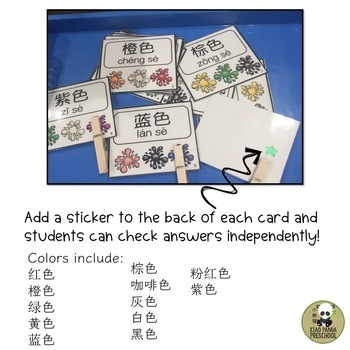 Add a sticker to the back side and these cards become "self-checking" so students can work independently or with a partner to practice target words. These cards are available at a discount if you purchase my Chinese Clip Card GROWING BUNDLE! All of my clip cards AND future clip card creations are included. The earlier you purchase, the more $$ you will save!